Rajinikanth's dig at Kamal Hassan - it takes more than just name, fame and money to succeed in politics. Rajinikanth on Sunday said it takes more than just name, fame and money to succeed in politics. "If you have to succeed in politics, it takes more than just fame and money. Something bigger is needed to transform an actor into a politician. 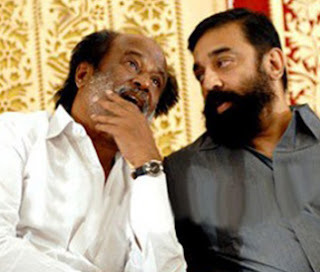 I hope Kamal Haasan (knows) what it is," Rajinikanth said at the inaugural ceremony of the memorial for legendary Tamil actor Sivaji Ganesan where Kamal Haasan also shared the dais with him. Speaking on the occasion, Mr Haasan took a jibe at the AIADMK government for the delay in inaugurating Ganesan's memorial. In 2015, former Chief Minister J. Jayalalithaa had announced that a memorial would be built in memory of Ganesan, who ruled the Tamil filmdom since 1950s. Intelligent India - Breaking News from India: Rajinikanth's dig at Kamal Hassan - it takes more than just name, fame and money to succeed in politics.